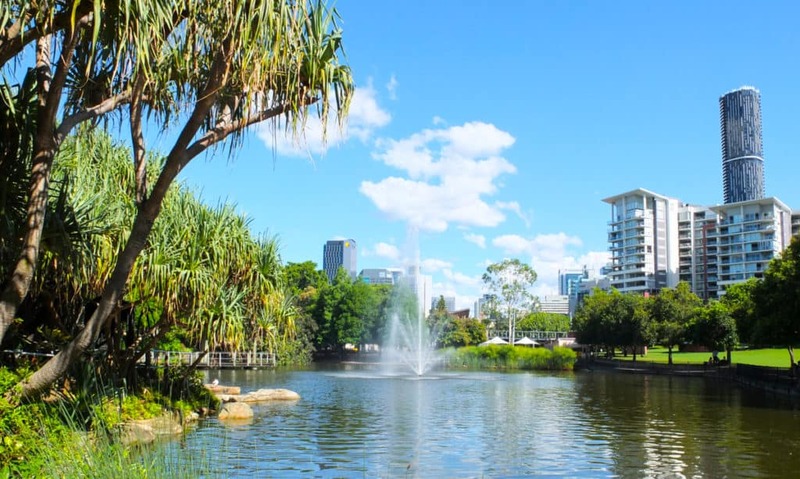 Brisbane is a modern, bustling city with a real buzz along its riverside. 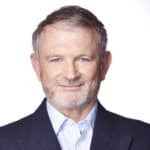 But Bernard O’Shea is drawn to one of its more sedate attractions. 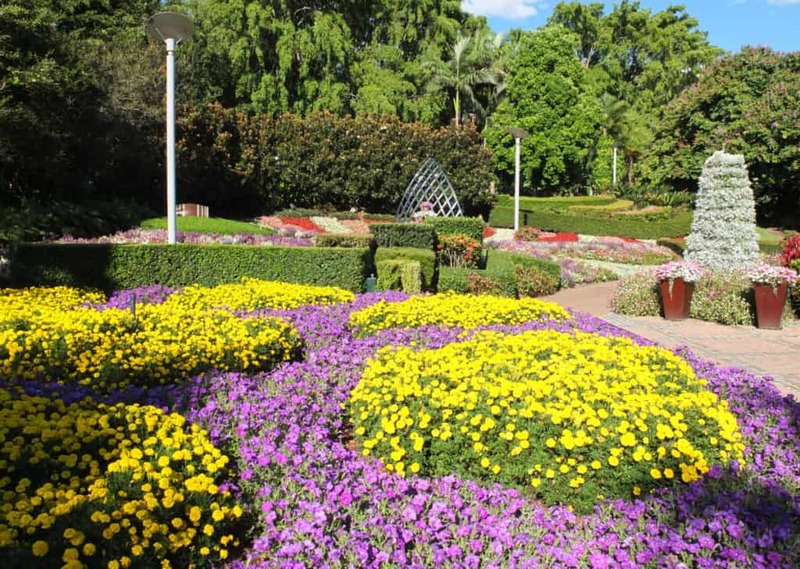 One of Brisbane’s most beautiful spots is the Roma Street Parkland, yet few first-time visitors seem to know about it, even though it takes up 16 hectares in the central business district. If you are in the city, you’re unlikely to spot it by chance as it’s tucked behind the office towers of the Brisbane Transit Centre and the Roma Street railway junction on the northern part of the CBD. It’s kind of sliced off from the city by the railway lines. The park is rarely frequented by commuters – most of whom spill out to the south to go to work. The gardens, therefore, are a peaceful haven, a great escape from the madding crowd and the demands of modern life. Just look at the woman basking in them below and you’ll see what I mean! Silence please! This is the reading room. 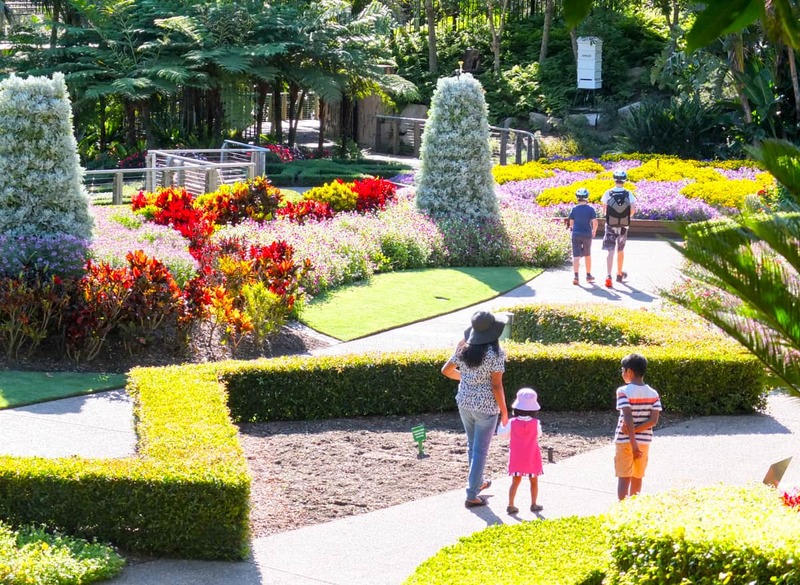 While the City Botanic Gardens have aura of historic grandeur and great river views, in my opinion the Roma Street Parkland is visually more striking, at least in its “Spectacle Garden” (below and at top). Some of the spectacles in the Spectacle Garden. 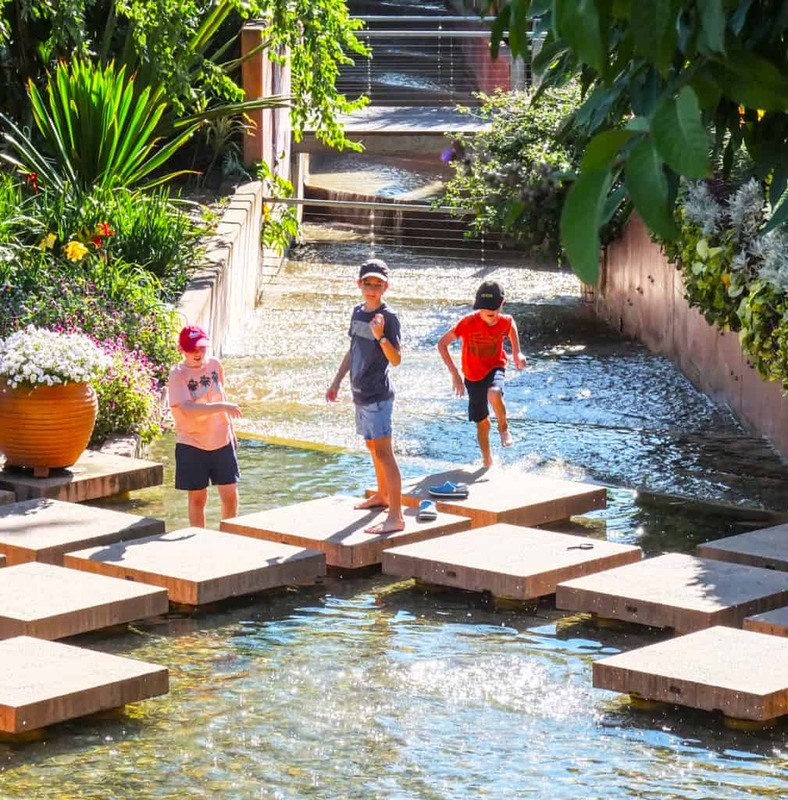 It’s also a great place for kids to frolic about. Kick off your shoes and have a good time. 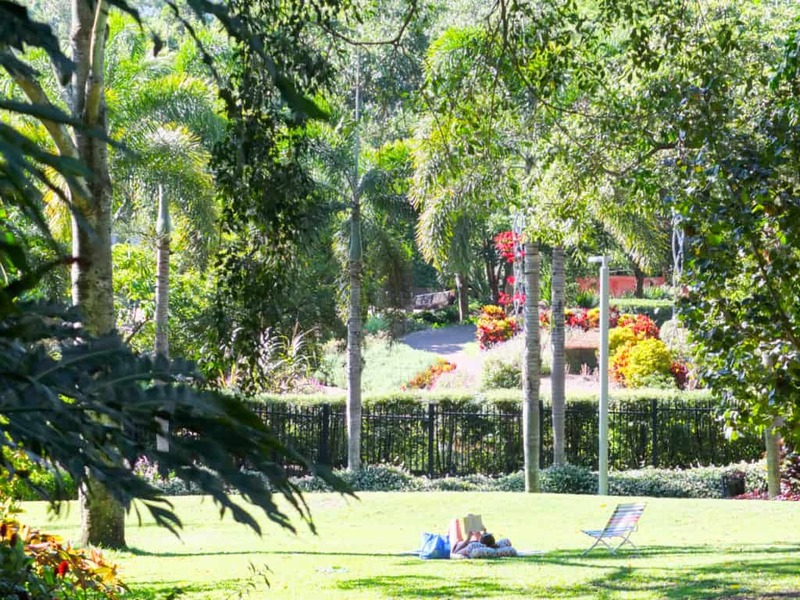 The “non-spectacle garden” part of the parkland features a lake and grassy areas where you can have picnics and barbecues (or cuddle your lover, which seems to be a common activity in parks around the world). There are fountains and viewing platforms on the lake. The photo above looks south towards the CBD. The Spectacle Garden is out of sight to the left; on the right is the picnic area and a quiet boulevard with modern apartments. What great views the lucky residents have. 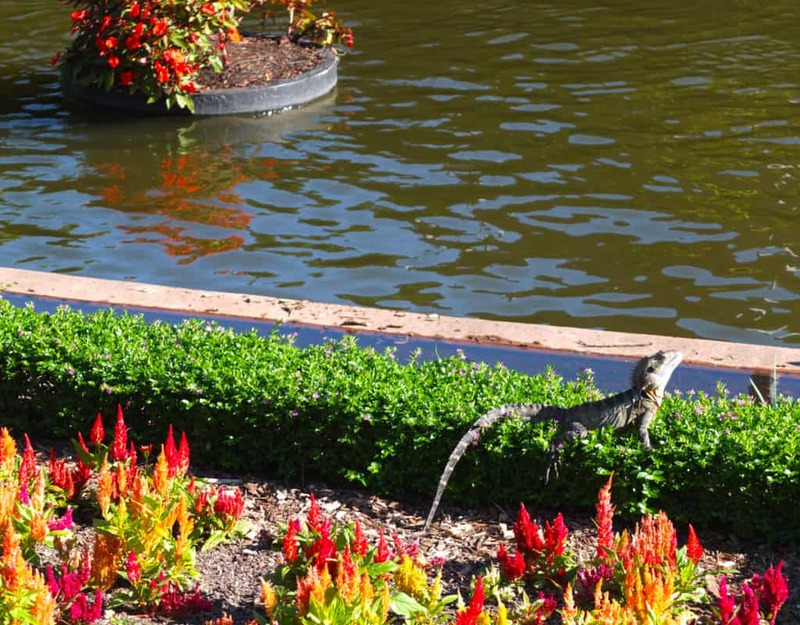 Spot the Eastern Water Dragon. The Eastern water dragon is semi-aquatic and can grow up to about a metre long. They might look a little scary, but are said to be shy and pretty harmless. The ones in the park don’t seemed to be fazed by human presence. They like to sunbathe. Bernard O’Shea visited Brisbane at his own expense. Photos © Bernard O’Shea.